The Colin O’Brady story begins in Portland, Oregon, takes a turn to Thailand and then takes off completely with an unfortunate tragedy that involves a beach and a flaming jump rope. The rope became tangled around his legs engulfing virtually his entire body up to his neck. Colin was then taken to hospital and after multiple surgeries and months in his bed was told he may never walk right again. Then after 18-months and a lot of inspiration, the heavily encouraged teenager decided to not only enter the Chicago Triathalon, but to win the entire thing! He then began travelling the world as a member of the United States national triathlon team before he decided to take his story up a notch. Colin set his sights higher, literally. 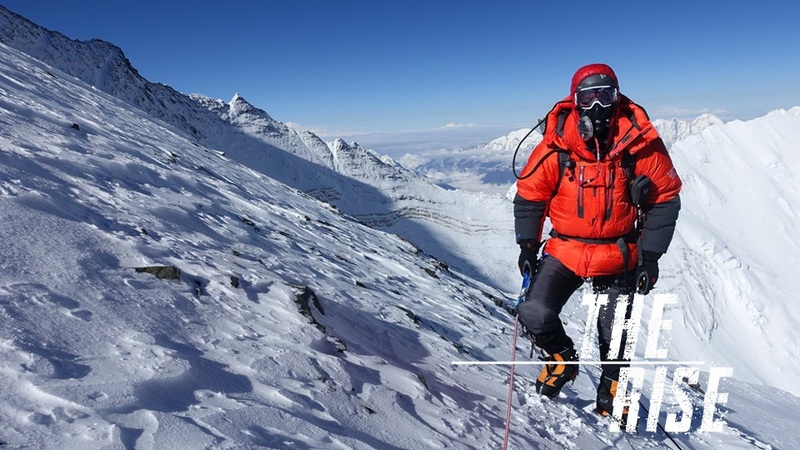 He decided to find sponsorship and hit the seven highest summits on earth. Colin took home world records left, right and centre for his efforts and he wasn’t done there. Not even close to done in fact. For his full story you can click the video above or the podcast below. You can subscribe to our cast on Apple Podcasts here. Meanwhile, Colin O’Brady the man and website can be found here and a link to see the further impact of his charity here. Make sure to tune in next week for the inspiring story of Kirk McLean and the 1993-94 underdog Vancouver Canucks. Episode three of The Rise will air Tuesday, October 16th.